I came to study at Pittsburgh Seminary with a strong commitment to world mission already, and was eager to get involved with World Mission Initiative. My three WMI trips sharpened my theology and biblical course work and clarified my sense of call in ministry. When I graduated with my MDiv from Pittsburgh Theological Seminary in 2006, I remember telling Glendora Paul that I would love to have a job like Don Dawson, the program’s director! She smiled, patted my arm, and said, “I’ll pray for that.” So when I was invited to join the staff of WMI later that year, I was confident that God was sending me into this ministry. I am so thankful that WMI sent me as a student, and grateful to have participated in sending many other students into God’s mission in these past 10 years! I am just one testimony out of so many who have been shaped by a WMI trip. WMI is celebrating 20 years of transformational ministry at Pittsburgh Seminary. 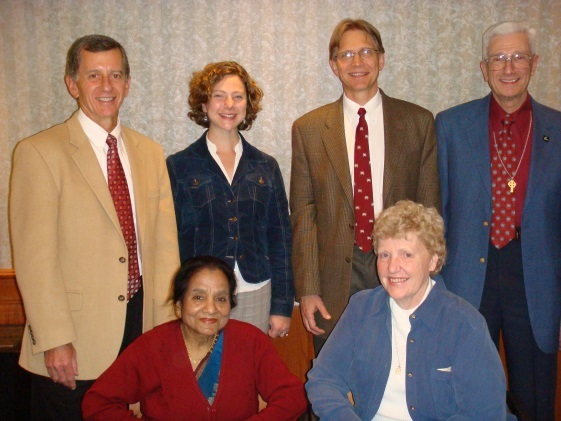 It was April 15, 1996, that the first mission consultation took place here which established the vision, network, and funding for World Mission Initiative. Mission leaders from the Seminary, local congregations, and the Presbyterian Worldwide Ministries Division gathered to discuss how to ignite participation and commitment to God’s global mission from the church. The way became clear to host this innovative program at Pittsburgh Seminary where it could influence future pastors and leaders for the church. 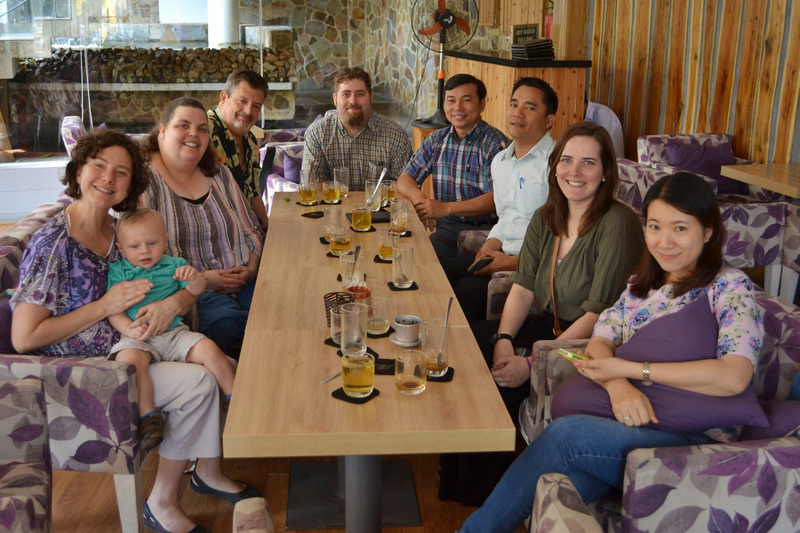 This initial meeting planted seeds which grew into WMI’s commitments to develop mission vision, nurture missionary vocations, and cultivate missional congregations. Over the years World Mission Initiative has sent more than 300 Seminary students into faith-stretching and ministry-shaping global mission experiences with more than $350,000 of scholarship support! Initially, WMI sent one or two students on occasion. And now, in partnership with local congregations we are regularly planning four to six different group mission experiences, with more than 50 participants annually. The majority of the students have gone on to lead congregations with a greater global mission vision and commitment. And a significant number of those students have gone into missionary vocations, serving in diverse regions and ministries with long-term commitment. I invite you to celebrate this milestone year of ministry for WMI by giving a gift to our “Send Me” campaign to raise funds for student travel scholarships. Please consider giving “$20-for-20-years” or whatever amount you are able to contribute towards our $5,000 goal. Your gift is to support Seminary students, who each receive scholarship support up to $1,000 when they are sent on a WMI trip. I am grateful for the strong financial support WMI has received through these 20 years that have made my mission trip experiences and many others possible! I trust that God will continue to bless us as we develop mission vision, nurture missionary vocations, and cultivate missional congregations. The Rev. Jennifer Haddox ’06 is associate director of the Seminary’s World Mission Initiative. P.S. It’s not too late to participate in the WMI Conference, April 8-9, 2016. “Recalibrating the Church for the 21st Century” features Alan Hirsch, a well-respected voice in the missional church conversation. In this anniversary year, we will also include a celebration at the concluding dinner Sat., April 9 at 5:00 p.m. Information and registration is available on our website, or by phone, 412-924-1449. Please come and join us! Discovering what God is doing in the world is a life-long pursuit, a pursuit that keeps me seeking out how to be faithful in a way that expands my vision far beyond my own small corner of the world and into the larger world that God loves. I discovered that God is bringing hope and a future through Christian community and reforestation in Haiti. I witnessed the power of the gospel to fill the persecuted church in Southeast Asia with so much joy that they have an abundance to share. I have heard the message of profound grace found in Jesus shared by a sister from a Muslim background. In all of these discoveries, I am moved to make different choices about how I use natural resources, how I come near to the persecuted in my prayers, and how I can also share the abundance of joy and grace found in Jesus. My growing global perspective shapes my sense of vocation every day. Looking for ways to pursue what God is doing in the world? Here are three ways you can explore. The Rev. Jen Haddox ‘06, associate director of the World Mission Initiative at Pittsburgh Theological Seminary, has lead groups of students around the world to see first hand what God is doing at the far corners of the earth. The last day we were in the village of Bhirkot, we walked to the home of one of the villagers for a time of fellowship and worship. We met many new people and made our way to the upper level of the home. We took the customary places on mats, on the floor, in a large circle, and began to worship. Pastor Rajendra led the service and hymns were sung in Nepalese and English. The Word was provided by Rebecca. There were also witness stories given. At the conclusion of the service Don Dawson asked if we could pray for those who shared their stories with us. There were four individuals so Karen opened the prayer, and then Brian, Jane, Ben, and I prayed in turn for these people. I prayed for Krishna, his family, and especially for his granddaughter who is crippled. My turn came and with my hand on his shoulder, as I prayed, I could feel Krishna shaking. After Don wrapped up our time of prayer, Krishna lifted his face full of tears. Almost all Nepalese Christians have received or know someone who received some type of healing through prayer. Because there were only a handful of Christians in Nepal 35 years ago, most Christians are converted Hindus. Most of the conversions are the result of these healings. Their profound belief in the power of prayer and especially Krishna’s deep emotional reaction to our prayer for his family and his granddaughter led me to evaluate my own conviction in the power of prayer. 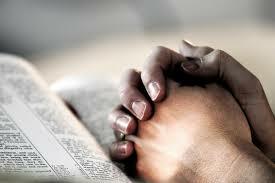 Martin Luther wrote that we should always pray expecting an answer to prayer. We shouldn’t presume to know what God’s answer will be, but to KNOW the prayer is heard and in time will be answered. I continue to pray that I will have the faith that the impossible will be made possible through prayer that our friends in Bhirkot showed us. Marty Neal is a first year MDiv student at Pittsburgh Seminary. During spring break he travelled with the World Mission Initiative to Nepal.